Changing Faces is the UK’s leading charity supporting and representing people with facial and body disfigurement from any cause, whether from birth, accident, cancer, paralysis or skin conditions. Established in 1992 by Dr James Partridge OBE, who was himself severely injured in a car fire as a teenager, the charity employs an experienced team of professionals and some very dedicated volunteers. Changing Faces is also leading the campaign for ‘face equality’ by challenging instances of public ridicule, promoting positive media imagery and inclusion in schools and at work. 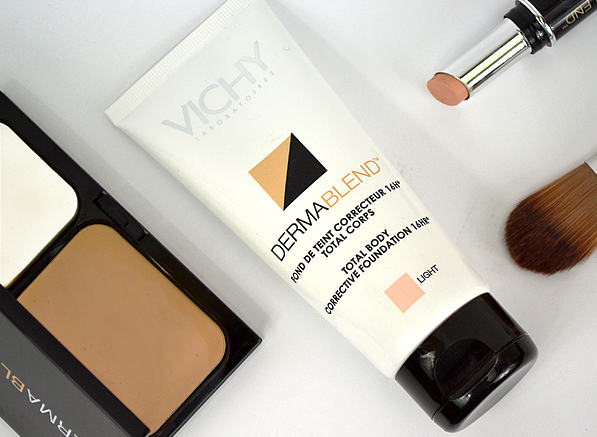 Changing Faces believes that using “specialist camouflage products offers an effective way to cope… [and] helps individuals to regain self-confidence and independence”, and it is primarily through this invaluable service that Vichy Dermablend is able to support its work. Vichy has a long history with the charity, providing make-up, tools and training for its Skin Camouflage Services and for the month of July 2014, Vichy is also donating 50p from the purchase of every single Dermablend product bought from Escentual to Changing Faces. The long-wearing, waterproof and high coverage Dermablend formulas are ideal for men, women and children of all ages and ethnicities who arrive at the service as it works to cover scars, marks and skin conditions with minimum fuss. As well as colour matching and improving the appearance of affected areas, the Practitioners teach clients how to apply the camouflage products themselves, which clients can then request on GP prescription. The small amount of concealment can have a big impact on quality of life, and makes facing the day just that little bit easier for those living with disfigurement and skin conditions. If you think you could benefit from this service, visit www.changingfaces.org.uk or speak to your GP. online or call the Support Service Helpline on 0300 012 0275. This entry was posted on Monday, July 7th, 2014 at 9:00 am and is filed under Make-up, Special Post. You can follow any responses to this entry through the RSS 2.0 feed. You can skip to the end and leave a response. Pinging is currently not allowed.